I recently discovered Kate Stewart and already she is becoming a 1-click author for me! 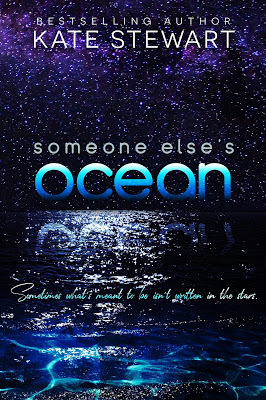 In Someone Else’s Ocean we get the story of two people who found each other again right when they really needed it! It is the perfect summer read with all the feels! An emotional and touching story. Ian and Koti have been friends since childhood. Both of their families have a home on St. Thomas, though they have not seen each other in years. Separately, each has gone through difficult times in their lives. Koti has been on the island for a while when Ian comes searching for some peace. Koti wants to be there for her friend, but Ian is struggling and continuously pushes her away. He has his own demons and is not ready to let anyone in. Koti is recovering from her own struggles and is trying to live a more peaceful life on the island. I loved how Koti and Ian slowly rekindled their friendship in this second chance slow burn romance. You can feel their chemistry and bond throughout the story. It was an emotional and heartfelt journey.